The amount of life stuff each person can pile on their plate may vary, but for all of us it is often an impressive balance to get it all done. Sometimes, despite our best efforts, when life gets too crazy, something has to give. First, I will readily admit that I hate it when the something that’s got to give is my running. I love training. I HATE falling off my training plan. I do not like adjusting goals. I can’t help but feel guilty / lazy / failing – no matter how unfounded those feelings are. And let’s face it, running is the best thing when stressed. If running and my big goals have to be pushed out the equation = um, HARD. Despite our best efforts though, sometimes it happens. As I have gotten a little wiser and a bit longer in the tooth, I’ve come to deal with it better. So as I am staring that tiger in the eye right now (complete derailment as my entire family is 150% booked), I thought I’d share my advice for handling it when there is too much on your plate to add in training, too. There is always another season. I know. As runners, we never like to let ourselves off the hook. It is weakness. It can morph into bad patterns. Next season will come soon. Or the next race. We get very invested in training, but step back and look at the bigger picture. If you need to cut back, do it. Hitting your training with 4 hours of sleep and no emotion is going to take you quickly to a crap race. There is some valor in knowing when to fold ’em. 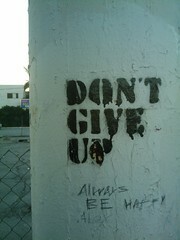 But don’t give up too fast. Be flexible. Go with it. Adjust. I know I am going to have to cut short my Columbus training by several weeks. But I am going to play it by ear and see what happens. Nope, I may not get a PR, but I can still have a great race if I need to, so I am not throwing in the towel. Don’t compromise too much sleep. I’ll admit to sacrificing sleep many times to get runs in. Yup, I’ve gotten up at 3:00 am to run before a packed day of work, kids’ games and board meetings. But be careful. If you are constantly running on empty, you’ll see it in your races. Get your sleep, adjust your schedule. Be clear about your priorities. Say them out loud, too. My kid’s soccer game, this patent infringement lawsuit, [insert whatever is coming your way], is more important. We runners put a lot of pressure on ourselves sometimes. Not only think big picture, but really, say it out loud. It makes it sink in better for us, and maybe even more importantly, for those who love us. They are used to cheering us on, but they also need to know when we need to rely on their support to cut back. Cut yourself some slack. Really. You’ve got this. One battle at a time. Have you ever found yourself overwhelmed with life and unable to get training in? What did you do to compensate or readjust? YES! Yes I have! With three very little kids, a recent major medical procedure, decisions about whether to move or not and other life stuff, I just can’t give it the level of attention I have in the past. I am trying to come to grips with being able to mentally let go a little with moving heaven and earth to get my runs in and accepting that I can still run and train and do well if my top priority in life is not running. Getting there! This post is so timely for me! I am playing a verry delicate balancing act right now, and trying to make it all fit. But with some big things on the horizon for me in the fall, if I have to step back my training, I’m okay with that.